There are three methods for correcting the Aadhar card. First method is done by Aadhar's map correction done online. Second method is offline by post. The next window displays the checkmark options to change the name, gender, date of birth, address, and mobile number on the AADHAAR card. Select the boxes on the items you want to change on the AADHAAR card, and then click Submit. Click the Send Update Request button. The next screen shows your corrections and you are prompted to confirm them. If you made any mistakes, click on "Change" to return to the correct page. If all are correct, confirm with "I confirm ..." and click "Next". The next screen will ask you to upload self-certified copies for the requested AADHAAR card correction. For children under the age of five, parents / parents of parents may complete and sign / provide the thumbprint in accompanying documents. Also mention your AADHAAR card number on each self-certified copy. Supported file types are: .jpg, .pdf, .tiff, .jpeg, .png. After you have uploaded the requested documents, click Submit to submit the AADHAAR card for the change request. For accepted receipts for AADHAAR card correction please click here AADHAAR Card Update Documents Required. Finally, the system will give you "Update Request Number" (URN) for your AADHAAR Card Correction that you have just submitted. Save this URN number for future reference and track your change request. The submitted AADHAAR card correction is checked by UIDAI and the check is updated in your AADHAAR card. 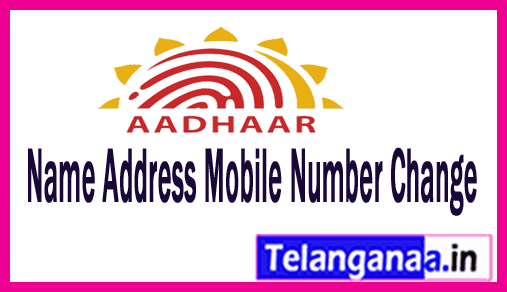 The status of your AADHAAR card change request is forwarded by SMS to your registered mobile number. To check the status of the AADHAAR card, click here. These simple steps will make it easier for you to make changes to the details mentioned in your card and help you keep up-to-date information. In the self-service update portal page, you can find hyperlink CLICK HERE to download the correction update form, people can see the form below. Step 2: After downloading the Aadhaar Map Correction Update Form, all details should only be filled in uppercase. Put all the details in an envelope and seal them properly with glue. In clear letters "Aadhaar Update / Correction" on the envelope and see if it is properly readable. Now all your work has been done and you just need to post the envelope after your language. Here you can find the addresses under which you can post the document according to your chosen language. If some people do not have online updates, as well as by mail, in this case like the people, they can go directly to the nearest Aadhaar enrollment center. Significantly mentions what changes you want to make, change NAME Change, SURE NAME, change gender change, phone number / update cell phone number, and email as well. After completing the required corrected fields, you must provide proof of identity and proof of address (PAN CARD, DRIVER LICENSE, Voting ID, Ration Card, Passport). For reference purposes. 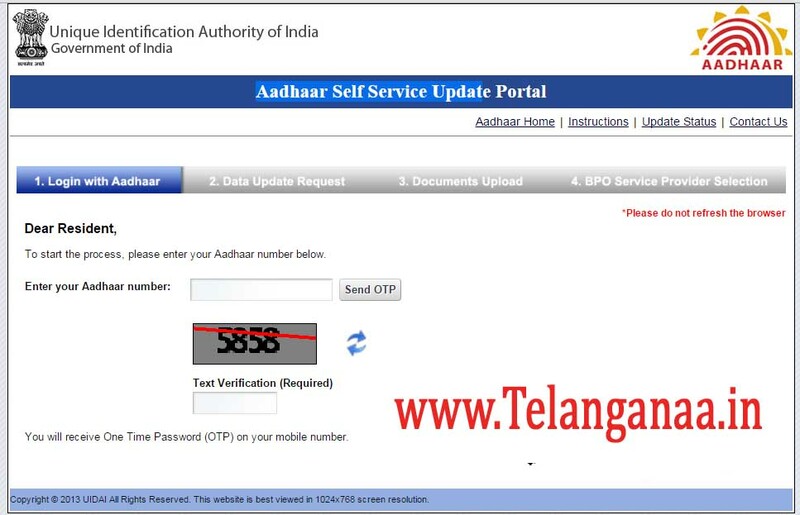 After a few days, you will receive SMS from the AADHAR portal, and then you can download your e-aadhaar card with correct updated information.